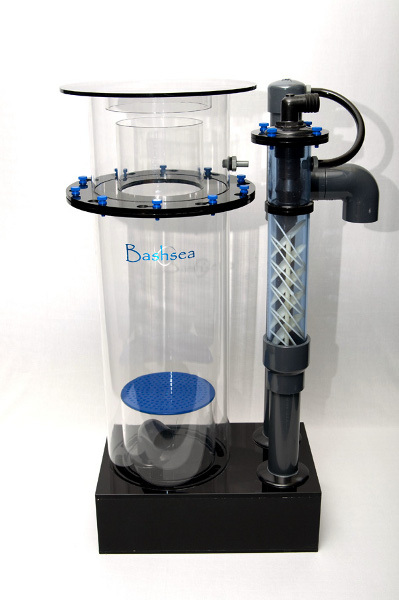 The Bashsea Aquatic Twisted Skimmer is manufactured in Royal Oak, Michigan. They are one of the few marine product manufactures with the ability to display the Made in America slogan. 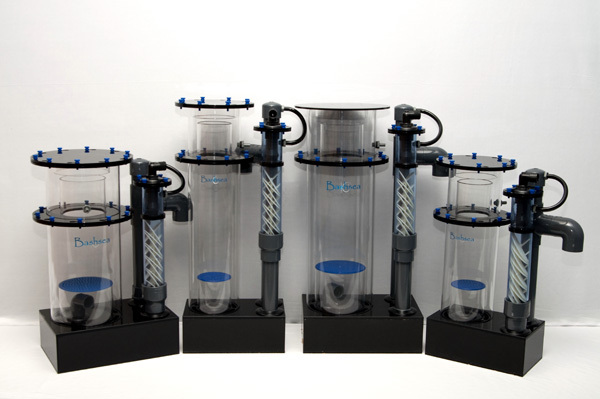 The Twisted Skimmer uses the beckett injector with a patent pending injection system designed to be 100% efficient. Another unique feature is the air line connection to the effluent pipe. This acts as a natural silencer pulling air from the end cap seated just above the effluent drain. This setup also adds a level of security in the event the beckett gets gunked up. Bashsea stated the water entering the skimmer would be diverted into the effluent saving the system from overflowing and flooding. Bashsea Aquatics has been contracted to construct 5 custom Twisted Skimmers for A & M Aquatic’s new coral grow out room. 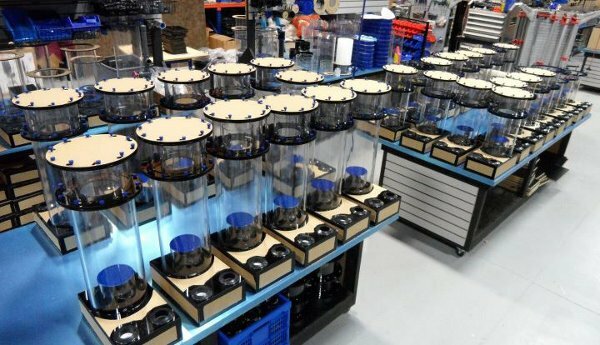 Most recently the Toledo Zoo chose the Twisted Skimmer over two other skimmer after 4 months of testing. 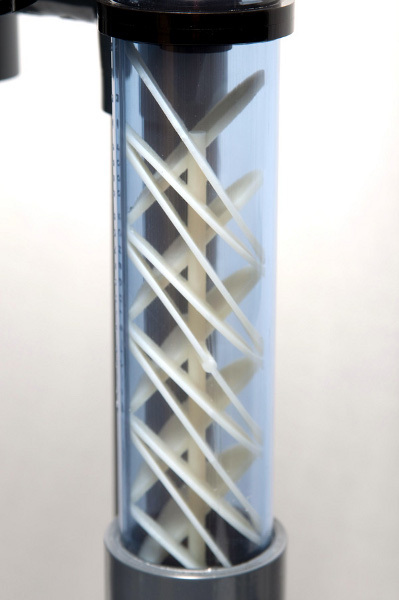 The Twisted skimmer will be utilized on 7 separate systems at the zoo’s facility. • All Twisted Skimmers are fully customizable in any size and configuration to meet your specific requirements. I love to see innovation in this wonderful hobby, but curious to know why the beckett injection. Usually this method requires the use of a powerful, energy hungry pumps. The trend these days is the light weight, low wattage needle wheel pumps to produce bubbles. Lets not forget the cone shape designs or the special curved transition to the “neck” of the skimmer. This company appears to bypass these latest trends, and maybe some serious R&D has been done. Looking forward to some real world experience to see how they perform! Royal Oaks should be Royal Oak. No “s” after Oak.